$Signed a four-year deal with the Devils in September of 2018. The 23-year-old power forward took a step back as a scorer after recording 19 goals and 32 points last season, perhaps feeling the negative effects of a contract holdout. Wood still finished between 84 and 91 PIM for a third consecutive campaign despite missing 19 games, and he should continue to make an impact in leagues that reward trips to the sin bin moving forward. Wood showed some promise in his rookie season last year, potting eight goals and dishing out nine helpers in 60 games. His minus-21 rating suggests improvement is necessary in his own zone, but most young players go through growing pains in that regard. The Buffalo native will almost certainly crack New Jersey’s roster once again this season, likely in a third-line role. That could be enough to warrant late-round fantasy consideration in formats that count PIM, as Wood racked up 86 in last year’s stint with the team. Wood recorded an assist and four shots on goal in Saturday's 2-1 win over the Coyotes. Wood (ankle) will return to action versus the Coyotes on Saturday, Mike Morreale of NHL.com reports. 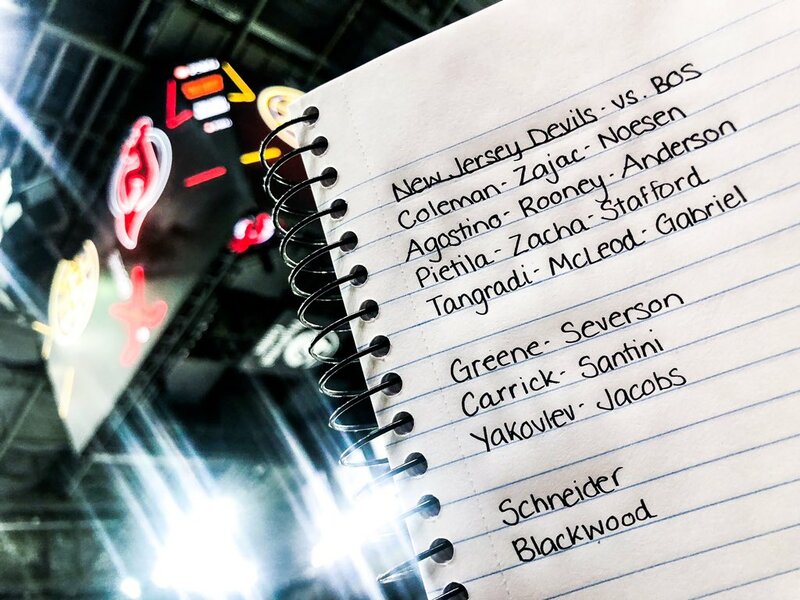 Wood (ankle) won't play Thursday against the Bruins, per Amanda Stein of the Devils' official site. Wood (ankle) won't be ready Tuesday against the Capitals, Amanda Stein of the Devils' official site reports. Wood (ankle) will not play against the Avalanche on Sunday, Amanda Stein of the Devils' official site reports.